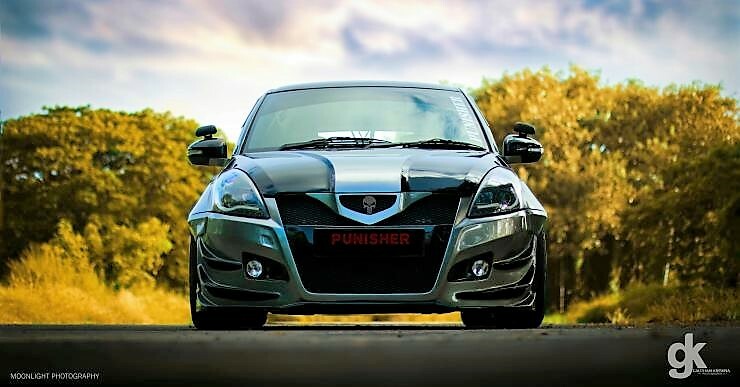 Impressively Modified Maruti Swift ‘The Punisher’: Maruti Suzuki Swift has always been a favorite among Indian car buyers. 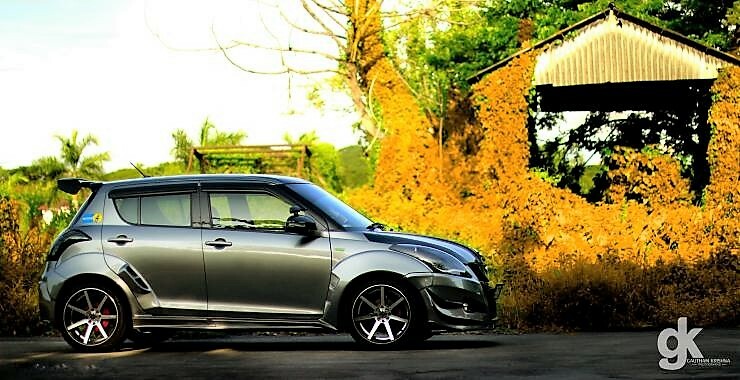 Its sporty design and race friendly appeal makes it a popular choice among young car lovers. It is even the first choice for Indian modifiers as enough space is available under its frame to get bigger wheels. Maruti Swift also support exotic body shades and even could help the owner get his/her favorite audio system installed in the boot. 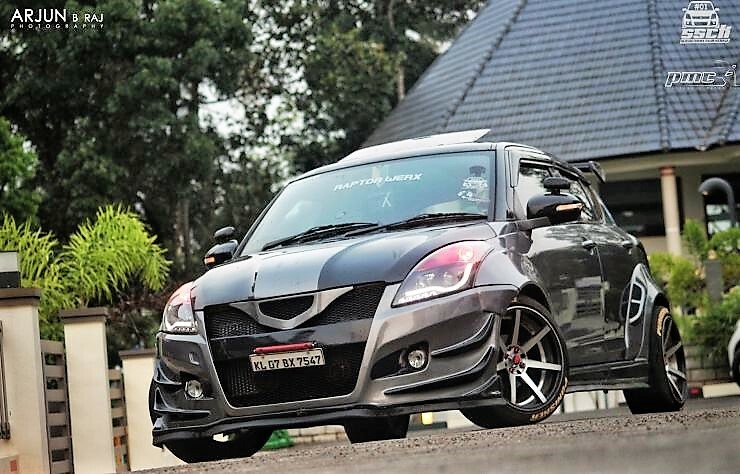 Here is one such Swift that has been tastefully modified and even brings a more powerful version of the diesel motor. Say Hi to Swift ‘The Punisher’! 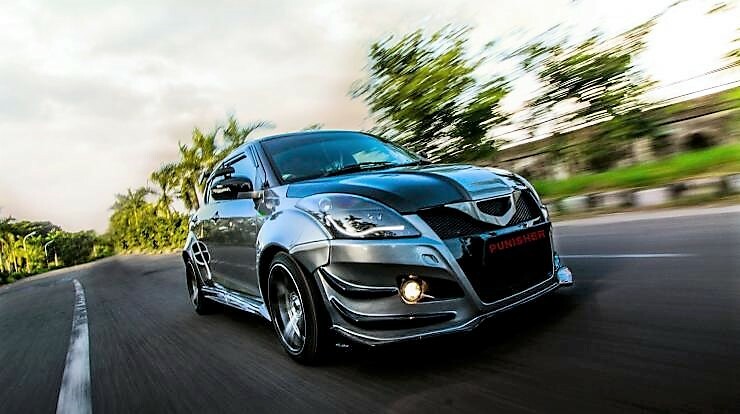 ‘The Punisher’ is the hottest Swift ever spotted, carrying a custom front end with smoked projector headlights, LED daytime running lights, Black grill with custom design element, beefed up bumper with added skirting and L shaped carbon fiber slats. There is even a large front spiltter and raised hood for an even aggressive design. Sides flaunt it’s 7 spoke custom alloy wheels, flared wheel arches and air inlets in the rear fender. The rear end feels more from a Need for Speed game with loads of added equipment. 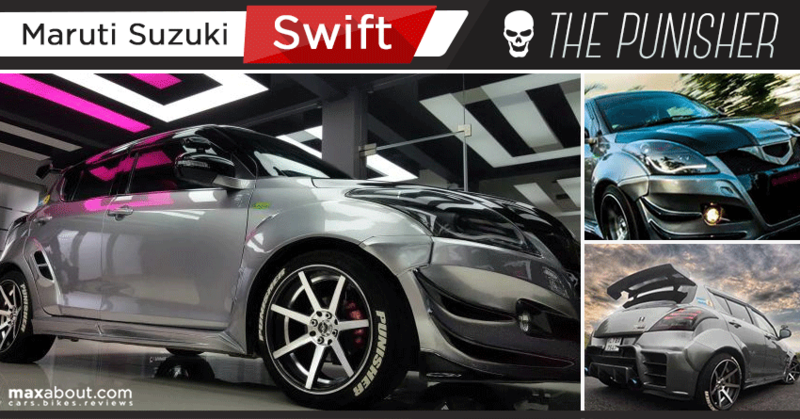 Swift Punisher houses custom LED taillights, large diffuser, roof spoiler and twin round exhausts. 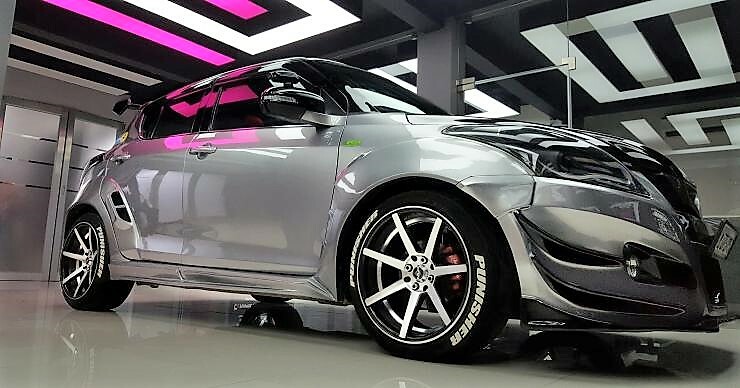 The car runs on 17 inch alloy wheels and uses 215 mm Yokohama A-Drive tyres. Audio experience is awesome with Pioneer X5890BT console and Rockford sub-woofer fitted into the Punisher. This Maruti Swift is much more powerful than before, carrying a 1.3 liter, mutli-jet diesel engine that brings out 115 BHP and 240 Nm of torque. The gearbox on offer is a 5-speed unit while the car brings 40 BHP and 50 Nm more than the stock version. Awesome mod. How does one get on touch with the customizer?